May 2012 the well-funded Michigan ACLU campaign to free teen killers sentenced to life for horrific murders released a report called “Basic Decency” that is filled with misinformation and propaganda. NOVJL issued this press release the day after the ACLU publication came out. Read some of the media coverage of our response to this unfortunate approach by offender advocates here. We have been adding page by page analysis of the flaws in this report and added more to this debunk as we have researched. Victims’ families were NOT notified by the Michigan ACLU (which claims to care about human rights) that they were publishing this report. They did not interview or consult with us in any way when writing it, nor did they talk to law enforcement, prosecutors or other legal experts most familiar with the facts of these crimes. 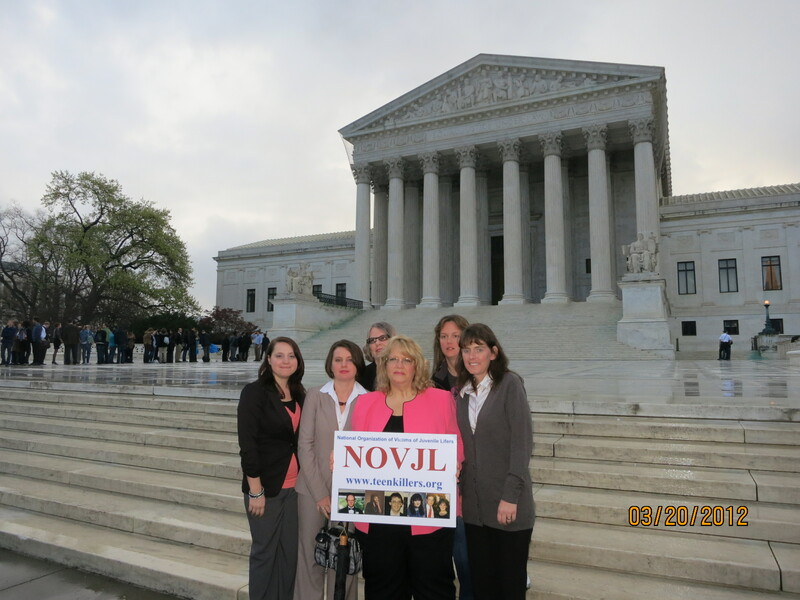 NOVJL went through a similar process with a report published in Illinois in recent years, but we had hoped after calling out the flawed methodology of only talking to offenders who obviously want to put the best possible spin on their own criminal culpability, we had hoped we would never have to do that again. The almost identically flawed approach in this Michigan report made us wonder why the authors did not research more carefully before publishing. But these Michigan ACLU authors are now “repeat offenders” in terms of publishing faulty accounts attempting to minimize these horrific crimes. They have done this before, for example, in their campaign several years ago to free Barbara Hernandez. They published lies about her culpability in the crime that she fed them. They later had to back down. We have never had to call out authors before as we have now. For example, below in our rebuttal of the misinformation about offender Cedric King you will read two officials letters from the State of Michigan calling out a rather stunningly false propaganda published about him in this report. We do here publicly denounce the Michigan ACLU’s mistreatment of the victims families of these horrible crimes. How they can put together a project like this without even talking to the victims families, much less do us the professional courtesy of sending us a copy of the “report” speaks volumes about their prioirities. We had to hear about this from the MLive Michigan news media. See more in our debunk below about their insensitivity and wrong-doing towards the victims families of these crimes. The report, among other lies, claims that the USA is the only nation in the world to use life sentences on teen killers. NOT TRUE. For this and much more, read our page on Myths and Facts. The Michigan ACLU repeats many of these falsehoods in this report. It is important to know that the reason this report has been published is because the ACLU has been receiving significant funding to to so. 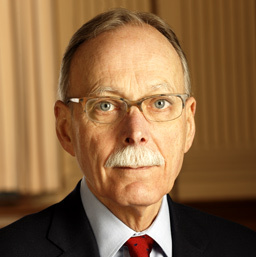 One major national funder of the ACLU has been Peter Lewis of Progressive Insurance fame, whose stated public goal is to reduce criminal penalties. This report credits the Ford Foundation for its funding. Read more. Significant scientific facts about the misinterpretation of the brain science in this “report” can be read here. Here is one story from Jackson County. Here is another from the Oakland Free Press. The Title – we had to just comment on the “Basic Decency” title, that they obviously got from a judge’s expressed concern over the lack of sentencing options available to him in a given case. This title selected by the ACLU and publishers of the report (hereafter referred to as “authors”) is insulting and ironic. We find their use of this title to be OFFENSIVE to victims. Basic decency would be to dedicate this “report” to those murdered not those who committed their murders. Basic decency would be for the clients of these authors, the teen killers, not to have ever MURDERED our loved ones. Basic decency would be for the ACLU to give even 10% of the significant funding they are spending to free these killers on supporting and doing outreach to the victims families of these crimes. Basic decency would be for the authors to actually use facts proven in court instead of “stories” from those who would like to not be in jail for life. The authors have no business using the title “Basic Decency” on this report. In the Acknowledgments page at the front of the report authors actually THANK convicted murderers for sharing their stories with the authors, with no mention of the fact that these juvenile offenders have been convicted of extremely violent, deadly and serious crimes. No mention of interviewing victims families because it did not happen. And we know there is already a history in Michigan of the ACLU interviewing only the offenders, publishing their version of the crime, which not surprisingly is often at odds with the facts of the case, what was proven in court, and the actual event. We do not believe we are cynical because we know that convicted murderers lying about their own culpability when talking to authors such as these with a stated goal of helping these offenders obtain release. When discussing polled public opinion about sentences for teens convicted of murder, authors state that teens who do not kill can get the same life sentence as an adult who does kill. That is blatantly misleading. Yes, ANY age offender who is certified to be tried as an adult because of the seriousness of the crime and the culpability of intent that they demonstrate (and they cannot be tried without those factors) can receive a long and serious sentence if they are an ACCOMPLICE and not the actual “trigger man”, but often the accomplice is completely equally culpable for the offense, if not more so, as the person who actually delivers the deadly act. Equal culpability for key accomplices is a basic principle in jurisprudence all over the world. Also, the fact that the authors had funding at all to run a poll indicates another problem we have with how they are conducting this campaign to undo the life sentences given our loved ones’ murderers. We do not have funds for a poll, or for glossy propagandistic publications. This campaign in Michigan would not be happening if it were not for the massive funding that has come from a few national sources – in this case mostly Peter Lewis of Progressive Insurance who is funding the ACLU’s work in this area. We have NO doubt: pursuit of funding has been a primary motivation in the creation of this project. And we do know that national polling data shows average numbers of well over 70% of Americans support either death or natural life sentences for those who kill. And we know that HOW you ask a question can shape an answer. So we want to SEE the poll that was given in Michigan. Publish it please. And finally, we know that since 43 states and the federal government allow for certain rare cases of juveniles convicted of especially heinous crimes, we can say with certainty that the majority of America agrees with and practices the use of life sentences for the rare few worst killers, even the 17 year old ones. Regarding the vote in the Michigan House in 2008, the authors represent that a “bi-partisan majority” supported ending these sentences, however what actually happened was a late night vote that year, in which many members were absent from the floor. The bill was rushed through without much notice and with much misinformation. That bill has not seen the light of day since 2008 because the truth is out about the agenda of the authors to release these killers. Factually, these are dangerous offenders who most public safety minded legislators agree with the courts that convicted and sentenced them should not be roaming free. Regarding the number of 376 offenders – we demand the list of names. First, we know that this includes all the 17 year old convicted murderers serving life. This report labels them juveniles but under Michigan law (and many other states) 17 is adult age. Since the national advocates who supplied information for this report are doubling the numbers nationally in an attempt to make JLWOP appear to be a more commonly given sentence than it is, we are insisting everywhere that the names of all the offenders, who they well know, be published. 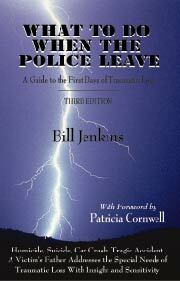 The authors have spent significant resources getting to know all these offenders. (Would that they would have invested ANY resources in outreach and support to their victims’ families!) Elsewhere on this website is evidence of the nationwide problem of misreporting the correct number of these cases by advocates who wish to end the sentence. They often repeat 2600 as the number of cases, but that was based on an erroneous estimate of offenders in the system including 19 and 20 year olds. The actual count nationally is somewhere around 1300 cases, and this was verified by not only Amnesty International, but by a survey of state Attorneys General. See Myths and Facts and other sections of the site. We will not accept any number of these cases in Michigan, nor should the media or anyone in the public until the authors publish the names of all these convicted teen killers and removes from the total all 17 year olds who are not juveniles under Michigan law. Our sources in prosecutors offices tell us the statewide number is more accurately around 140 cases of teen killers sentenced to life for their murderous crimes. Regarding the fact that most adult killers do not get life, that is true. 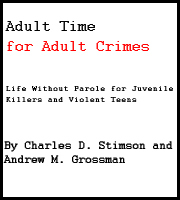 But what the authors also fail to go on to explain is that most teen killers also do not get life sentences. In fact, MOST teen killers in Michigan and nationally are not even tried as adults, and usually end up serving a term of years. 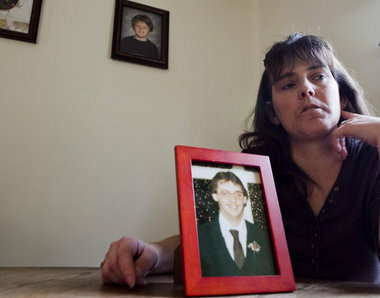 Many teen killers are still tried as juveniles, many being released to the public after just a few years. Also this page introduces one of the key arguments of this publication – that teen offenders are at a disadvantage in plea negotiations because of their lack of legal experience. They repeat accounts by offenders who report not understanding the difference between an offered plea bargain of a term of years, or a life without parole sentence. We doubt any such claim when stated now by an offender who wishes to undo the results of their conviction and sentencing. Prosecutors who we have spoken to in Michigan who conducted plea negotiations report very different accounts of these matters. We are not surprised with this misinformation given that the authors DID NOT INTERVIEW the actual legal experts involved with these cases – the prosecutors – when writing this report. Defendants facing trial for murder have attorneys advising them. Public defenders are appointed for any who could not afford a private attorney. Throughout the Report . . . Photos used of the convicted murderers are taken from MANY years before the crime was committed, attempting to represent the offenders as that young age when the crime was committed. Some photos of the offenders show them as elementary school age children when in fact the crimes were committed when they were already 17, legal adult age in Michigan. The report also repeats throughout references to issues of race. We address this question at our Myths and Facts page. First, the brain science this page refers to is being misrepresented. While it is true that the brain continues to grow and develop for all of us all our lives, and the frontal lobe grows in capacity well into our late 20’s there is NOTHING in this brain science that diminished criminal culpability in any given individual. For more information, and links to prominent scientific reports on the topic, see our page on the Brain argument. Legal culpability for crimes is very individual – for offenders of any age. This page also falsely implies that there is no flexibility in Michigan law as to how teen killers are sentenced and no recognition of the differences between juvenile and adult offenders. Nothing could be further from the truth. Sentencing and punishment of violent juveniles varies WIDELY in Michigan, as it does nationally. Prosecutors, Law enforcement, and the courts have tremendous discretion, based on the facts of the individual case, as to how to decide the charges and the penalties. And while the United States Supreme Court has indeed set up appropriate guidelines for juvenile sentencing, they have also ruled TWICE in the last 7 years that life without parole sentences for some teenaged killers are entirely appropriate. The flawed reference to Supreme Court rulings continues. The Graham case did overturn life sentences for non murder but AFFIRMED life sentences for murder cases. The court was asked to rule that all life sentences for juveniles no matter their crimes are unconstitutional and the court declined – repeatedly. So we are stumped as to why the Michigan advocates for these offenders would site rationale in a court case that does not apply to those convicted of murder. We are also confused as to the inclusion of Mr. Jones’ profile in this report as he was not a “child” (juvenile) under Michigan law. He was 17. They seem to be concerned that he received a life sentence as an accomplice to a crime that included murder. Accomplices all over the world and throughout history in every jurisdiction are held comparably accountable to the actual “trigger men”. There is a standard in the law that says “but for” – but for the aid of the accomplice the crime could not have happened. If the situation meets that standard, they can be comparably charged. Often accomplices are even more culpable than the actual trigger men in certain crimes. The point is every case is different and this report does NOT tell the whole story about the facts of Mr. Jones’ case. Also Mr Jones IS up for parole review. Since this report argues that youthful offenders should be given opportunities for review for release, and it states that Mr Jones will be receiving such a review, does this not in fact prove that Michigan law is already adequate to the situation? While we do not have the resources (as the authors of this report clearly do) to research each state’s age limits, we know for a FACT that this map/chart is WRONG. Illinois defines 17 as the adult age for violent felonies. There are likely others and since they got at least one state wrong, we can conclude again their research was lacking. And since Michigan law does NOT define 17 as juvenile, this report has no legal basis to continue to refer to them as such, as they do throughout the report. It is factually incorrect that only a few states require accomplices to be equally charged in murder cases. Felony murder laws are on the books everywhere and mandatory felony murder laws are common. We could not agree more with the Governor’s quotation about needing to protect our children and their futures. That is why we have to protect them from those who kill them. Many of the teen killers advocated for in this publication murdered children. The next pages in the report deal with the decisions that Prosecutors make, a vital part of their elected job. Prosecutorial discretion is one of the cornerstones of our Constitution and Criminal Justice System. We all need that human judgment with legally expert eyes accountable to the voters on criminal cases for one very good reason. Laws are set that define crimes and punishment. But human beings and individual situations vary widely. And those Prosecutors who the public elects to do this important job and who are most expert need to make these cases by case individual decisions about how to charge offenders. We have asked some Michigan prosecutors to chime in about some of distortions. This Saginaw County case is summarized on our website on this page. This offender did NOT “stay in the car” – he was the actual trigger man who called shot the victim after the victim called out his name. We spoke to the Kent County Prosecutor about this case and he gave us a lengthy list of the many inaccuracies abou this case as reported in this ACLU propaganda “report”. First, this offender was already an adult under Michigan law as a 17 year old. He is NOT a juvenile offender and does not belong in this report. Second, the actual facts of the crime were not as reported – the offender did not “just brandish” a gun. They stopped the victim’s vehicle under false pretenses. They took her out into a field and executed her, shooting her point blank in the back in the head. The “report” is wrong that Gregory “escaped and called the police” – in fact what happened is that he fled and went to Illinois. The prosecutor will check but his memory was that there was NOT a plea bargain as reported. He was shocked at the inaccuracies of how this case was reported. The Victim’s name was Christy Couch. While it is correct that Wines did not shoot the victim and it is correct that he called the police and confessed, there is a little more to the story. Wines, who was 17 at the time, and his co-defendant, 16 year old Steve Launsburry, both had had a sexual relationship with 14 year old Jennifer Hopp. At and near the time of the murder, it was Wines who was having the relationship with Miss Hopp. In fact, it was their relationship that set in motion the events that led to Kristy Couch’s death. told her daughter that she might send her away to live with relatives. In addition, Miss Hopp believed that she might be pregnant with Wines’ child [she was not]. In other words, he agreed to participate in a car-jacking so that he could run away with his girlfriend. In reality, it was his illegal sexual relationship with a 14 year old girl that led to this murder. “Q. Okay, an’ then ah, you told him yeah let’s do it ? A.Yeah I told him, that’s fine, you know, and ah, he said that ah, the only way, ta get away with it is ta kill ’em. Wines later explained that Steve said the only way to do it [car-jacking] right was to “kill the driver so they couldn’t identify us.” By his own admission, Wines agreed to participate in a car-jacking knowing that his co-defendant had a loaded 22 revolver and that the co-defendant said he was going to kill the driver. attempting to car-jack someone. “We tried to wave down 6 or 7 cars but they didn’t stop…both Steve and I would step into the street and wave down a car that was passing. Finally a small blue Mazda 2dr stopped” [driven by 20 weeks pregnant Kristy Couch]. Launsburry did precisely what he said he was going to do…precisely what Wines knew he was going to do; i.e. execute the victim so she couldn’t identify them. To accomplish this, Launsburry ordered Kristy to get down on her hands and knees and shot her twice in the head. However, it was neither “quick” nor “painless” for her or her family. Kristy was shot at approximately 11:15-11:30 PM on November 26th, she was found alive between 8:00-9:00 AM on November 27th [the following morning] but she did not die until nearly 10:00 PM on November 30th. In other words, Kristy was alive when Launsberry and Wines drove off and left her to die and her family endured days of agony while she clung to life in the hospital. “threw” the purse away. He also accompanied Launsburry to an ATM and withdrew $300 from Kristy’s account. idea to call the police. In response to the question “Whose idea is it to call the police?”, Miss Hopp testified at Wines’ trial that “it was mine“. We suspect that the authors of this “report” did as they did in previous such publications in Michigan – they interviewed the offender, who not surprisingly will lie about their own culpability for a crime they do not want to serve jail time for – and then publish that version of the crime without bothering to check what was PROVEN in court. This offender is NOT serving a life without parole sentence in Michigan – we spoke to the Kent County prosecutor who assured us that not only is this offender NOT a life witout parole case, but that he could not have possibly received a natural life sentence given the crime he was charged with. The prosecutor has already written letters recommending the release for this offender based on his many years of incarceration. He believes this offender should and will be paroled, and soon. Why is this offender in this “report”?! READ letters from Michigan officials confirming the inaccuracy of how this report paints Mr. King’s case. 20-40 years. It was offered long before the day of trial. Our information gathering critiquing this report continues . . . Follow Brandon Howell on Twitter: @BHowellMLive. 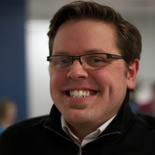 Email him at brhowell@mlive.com or call him at 517-908-0711.